but did you know it can work in your favor? You notice that there is not a word about TALKING. Communication and Speech are both important to our social interactions and interestingly enough can both be impacted in different ways for people with autism spectrum disorders. Does that mean only people with autism have trouble in these ways, not at all. Communication as it is suggested tends to be social in nature and can involve feelings and sharing information. Speech also shares but seems to be more focused on the act of speaking and less on the social background or implication. So why is this important to you and how does it involve RDI? I like to make a rule where I save the “bossy talk” for safety and those “mommy is loosing her mind” moments. In all honesty, 20% of our language is naturally “bossy” or imperative. 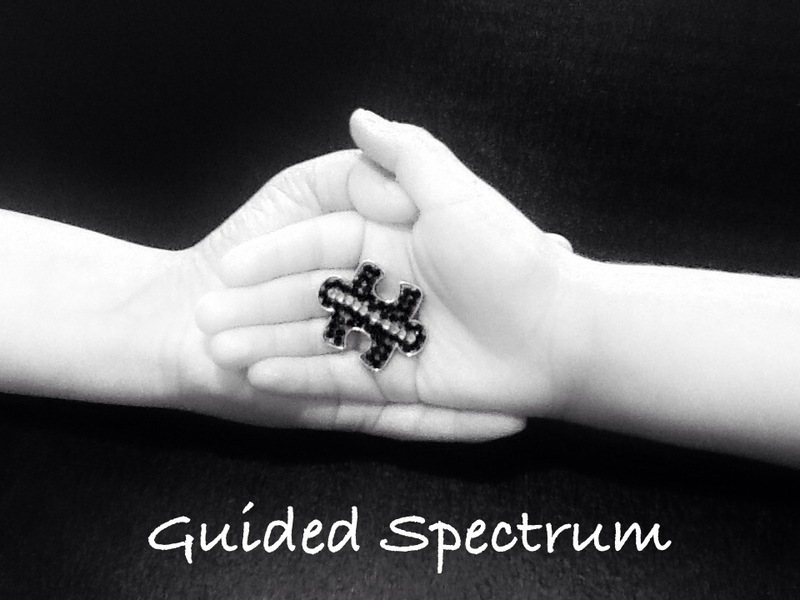 It’s there for a reason and it’s ok to use it even with your child on the spectrum. Remember, we don’t want to lean too far the other way. We want to create a positive quality of life for your child, however that may look, for him/her. On the other hand, I love to spend my 80% using “sharing talk” because its fun!!! By sharing things you can easily imply something and create not only a thinking moment but also an “ah-ha” moment and maybe even a social moment for your child. For example, if you make soup for dinner and give your child a fork instead of a spoon you are setting up the moment. You can then “share” that it is going to be hard to get the good parts of the soup with a fork… and wait. You can look at them confused, you can look into the bowl of soup, you can even “share” that your soup is delicious, but wait for it. When your child looks at you then your moment to show them how to shine is here… For a verbal kiddo, they might independently say something like “I want a spoon” or “I don’t want a fork” or any variation. For a non-verbal kiddo, they might look at your spoon or look at their fork or even look at their soup and you can fill in the blanks “spoon?” and even decide if you want to get it for them or if they are capable and they won’t get distracted let them grab it so they can feel successful. The same goes for the verbal kiddo by the way. We want our kids to feel good about figuring it out and making it happen. So here is where the social part comes in… once they take their first bite you get another chance to use your “sharing talk” by saying something like “The beans in the soup are yummy.” You can tailor the statement to their age group and likes but be sure to pause and look at them after making the statement. Why pause and look? because you shared something (you didn’t tell something or ask something but you shared something) and my guess is that they have an opinion about it. Whether they want to share it or not is up to them but count to 30 (don’t speed count) in your head and see what happens. You might get a smile and you can smile back. You might get the same comment and you can nod and agree. You might, just might, get a different response, a response that says what they like or don’t like and you can make another “sharing” comment back if you like. It could be one simple exchange or it could turn into a whole conversation but you won’t know unless you create the opportunity and try. Why “sharing talk” and not “bossy talk?” Well, I’ll keep this simple. How do you feel when someone says “eat your soup, I know you like the beans.” Do you feel like conversation? Is there opportunity for sharing? How about personal thought? That ah-ha moment, could that happen with that “bossy talk?” It might, because anything is possible but it is less likely and is much less inviting. Now that you hopefully understand the difference between Imperative “bossy” talk and Declarative “sharing” talk and have an example of how it can be used to bring out the best in a situation. Before you run and try to do this and slave over the stove to make a soup your kiddo doesn’t usually eat, lets start with the things you are doing. Make a list of 5-10 Imperative “bossy” phrases you are using with your child on a regular basis. The more you find the more practice you get and you know grandma… lol. I will help you turn these phrases into Declarative “sharing” phrases so you can have practice with things that make sense to you and your family. We will be working to change your communication style back to that 80/20 with more experience sharing and pauses for ah-ha moments and less demands so it will take practice, a lot of practice. Keep in mind, this can be very hard to change. Old habits die hard and the way we talk is one of the hardest habits to break. Don’t get angry, give up, or lose hope. You can do this. It took me almost a year to get comfortable with it after years of ABA therapy and lots of Imperative talk (I’m not bad mouthing ABA it’s just a different communication style). You will entirely forget you are supposed to practice at first. Then you will remember but as you are lying in bed thinking about everything under the moon besides going to bed. Then you will catch yourself later thinking “I should have said…” but eventually you will start catching yourself right after or mid sentence and before you know it you will be talking very slowly like learning a new language but you will be doing it and one day you will think back and forget about how “bossy” you used to sound. You are all capable of this and I promise you will thank yourself and your kiddo will flourish and grow because of it. So get started on that list. Email me your questions. Go ahead and tell me I’m crazy if you want but this is where the fun begins! Let’s make 2016 a year of discovery and growth for not only our kiddos but for us!